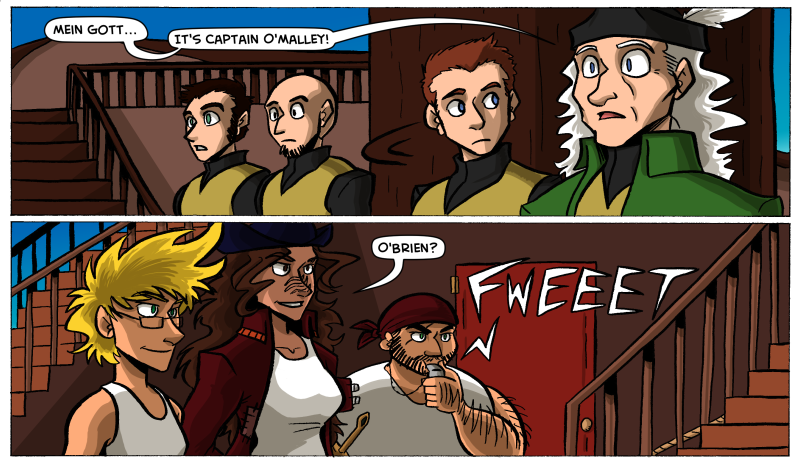 Here’s part of page 9 of my webcomic The Legend of Jamie Roberts. 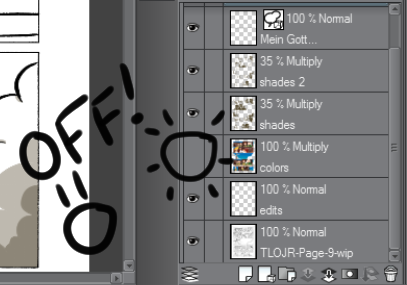 Ever since I switched from PhotoShop to Clip Studio Paint, I have LOVED how much easier Clip Studio Paint is to use. That said, on occasion it can be a bit of a headache. 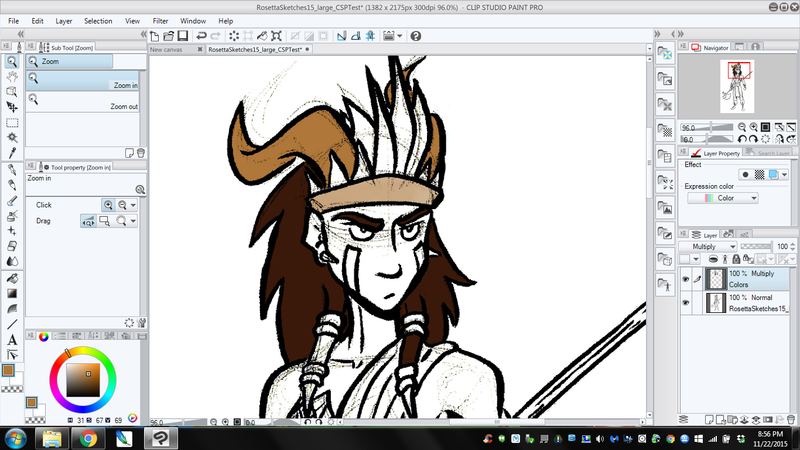 One specific way it can bother me is when I’m adding shading to a comic page. Why? Because my line work is on a separate layer from my shades. I don’t do all of my art on the same layer, you fiend. But I figured out a way around this. And it’s made producing comics WAY easier. Well, I need to show how I do a comic page first. I have the following layers to work with: the base drawing. The Edits (where I clean up lines and smudges). Colors. Shades. Letters. The secret is: I turn the Color Layer off. It’s super easy: just click the little eyeball on that layer and boom – it turns off. This has made shading A LOT easier. My Bucket tool no longer tries to fill in a space that’s the same/similar color to the shade color. 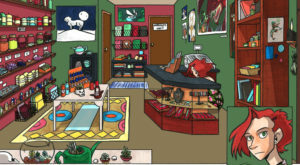 Also – it has made looking at what I’m shading WAY easier. I tend to include a lot of dark colors in my pages. That makes shading a thing pretty tricky to the naked eye. 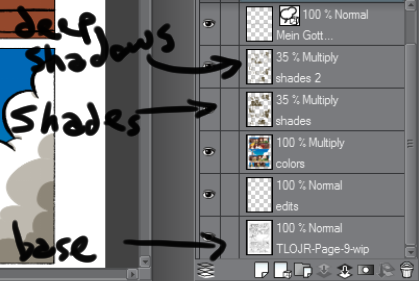 So turning the Color layer off has made it far easier to judge how far shadows need to go. Another plus is if I wanted to make a black and white version of a color comic, this cheat makes it easy. I hope this helps you in your creative process. 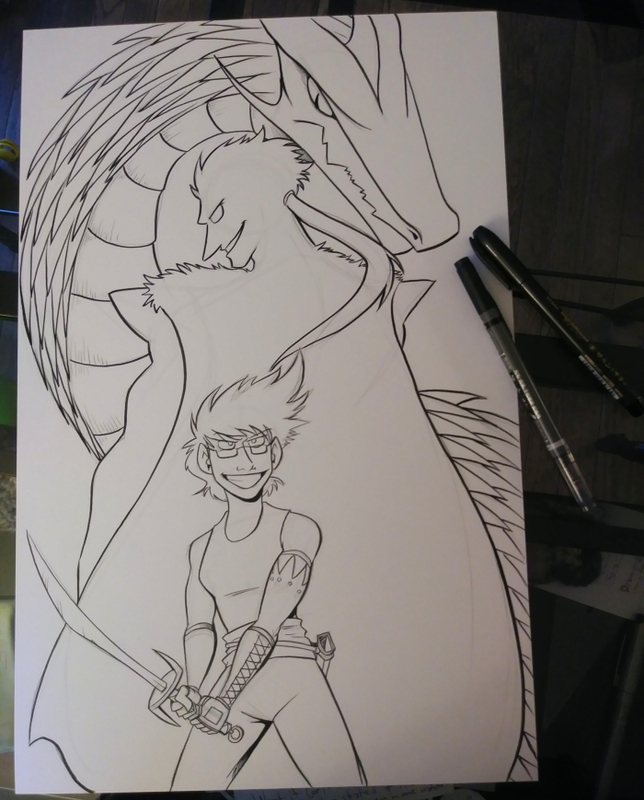 Illustrated here, from foreground to background, is Jamie Roberts, Ragun Ranki (pronounced Rah-Goon Ra-N-key), and the dragon shape of Ragun Basho (pronounced Rah-Goon Bah-show). This took a little while to illustrate, especially with the waves of The Way in the background. The Way is the spirit world, where souls rest after death and before birth, and where Ranki was banished after The War of the Leaders 500 years before the start of the Legend. The colors of the background and Ranki were done in Clip Studio Paint to save me some marker ink. 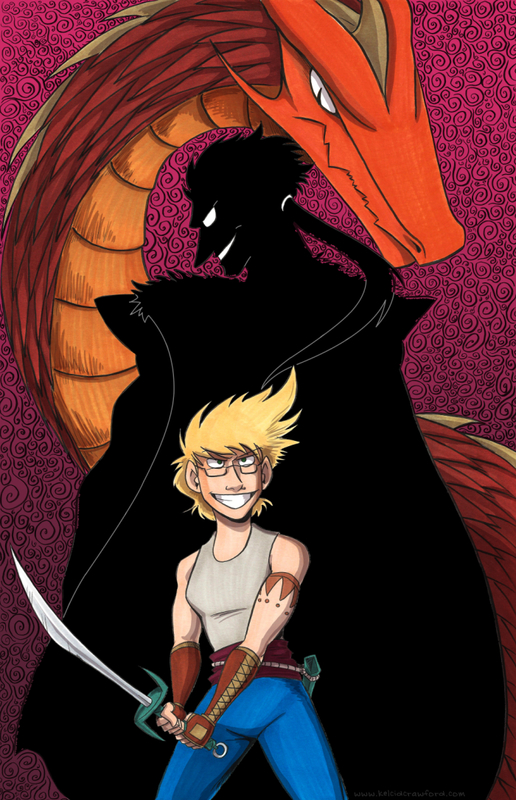 This image will do double-duty as both a print and as the cover art for Chapter 1’s online serialization. The above picture is a sketch from my 2015 sketchbook, developing a concept in The Legend of Jamie Roberts: the Chimes of Dogona at the Temple of A Thousand Souls. 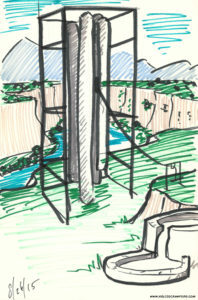 I’d like to redraw these chimes with some more detail, but as mentioned, this was a sketch just to get the initial idea. The chimes are based on a real location in Casey, IL, which is a small town home to a lot of world’s largests: world’s largest wind chimes, knitting needles, golf tee, etc. I think the people are trying to set a world record for home to the most “world’s largest” objects. …I should do sketches like this more often – broad, fast marker strokes are a thing I miss, especially considering how detailed my comics have become recently. The reason I’m thinking of detail is because of my most recent update of The Case of the Wendigo. Sweet baby kittens on a motorbike it took FOREVER to do. Here’s a preview clip: Meanwhile, Validation has already updated twice this week. Once on Monday, and a second time today. 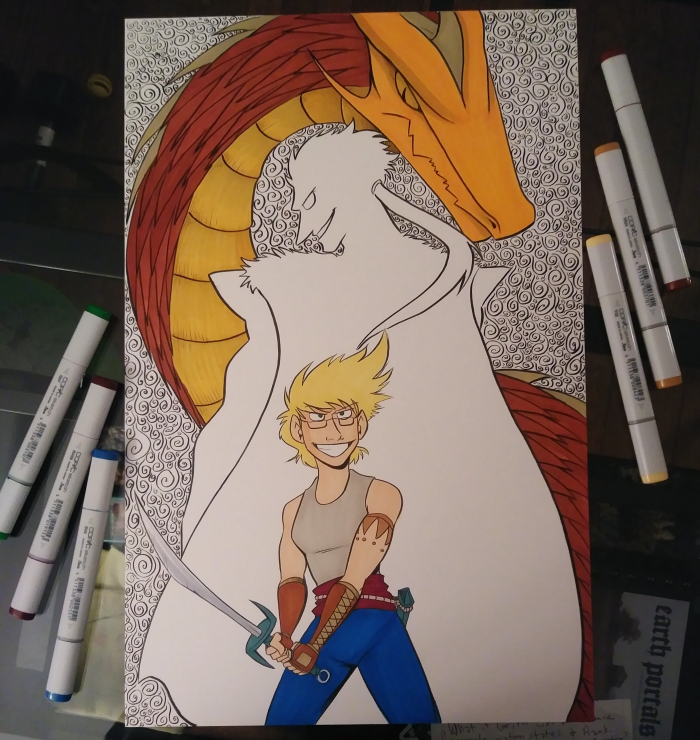 Making progress on ALL THE THINGS. Trading cards are now all finished, and now I’m working on commissions. Once they’re finished, I’ll share some of them in a blog post (if I get the ok from the commissioners, of course). The button printer is taking a while, but I don’t blame him – he’s printing 600 buttons for me. 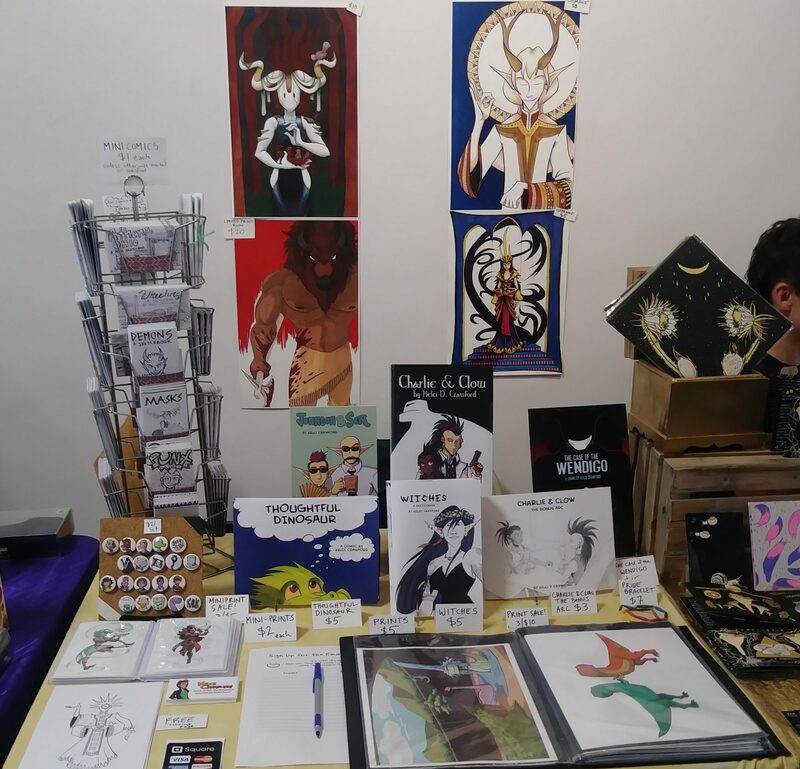 Expect a blog post about artist alley table layouts soon – I’ve been taking pictures at every show and tooling around with what works and what’s getting improved. So the blog post will share various layouts, what I’ve learned, and what changes can be implemented at future shows. 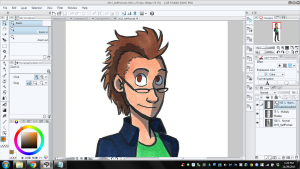 I’m also trying to get a Clip Studio Paint/Manga Studio tutorial typed up. There are other things happening right now, but I only share those other things with newsletter subscribers. If you’re not already getting the newsletter, here’s your chance to do so. 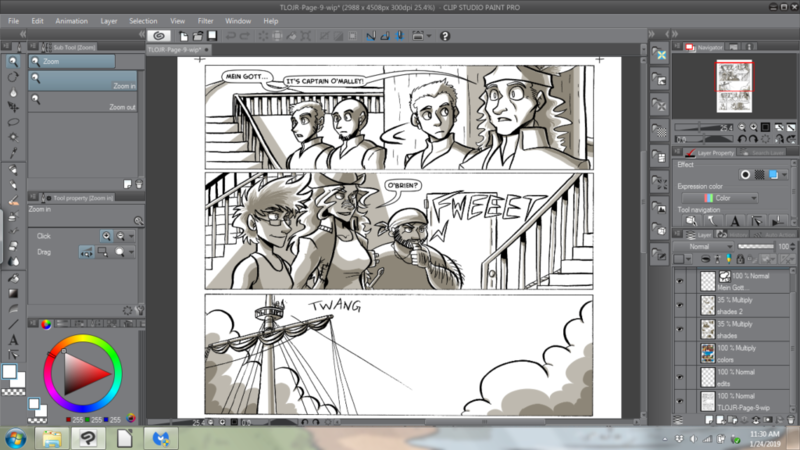 I switched recently from PhotoShop to Clip Studio Paint (or, as it’s better known, Manga Studio). Last time I talked about it on the blog was during Day 1. 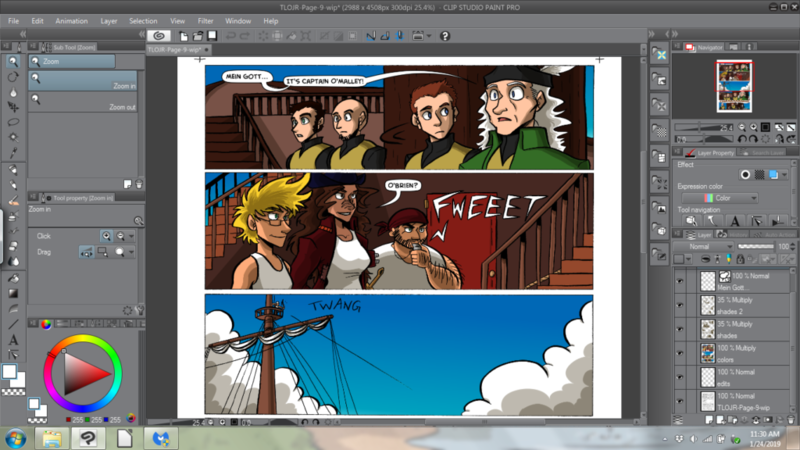 I first bought Clip Studio Paint (also known as Manga Studio) when it was on sale. Apparently there are periods of time when the software goes from around $50 to $15 (which is banana pants). I had heard of the software before, but when it went on sale I went, “Why not?” And got it.